Many teachers make use of the game Battleships to generate listening and speaking in the classroom. Frequently the game is used to drill verb conjugations, with personal pronouns in the vertical axis and infinitives to be manipulated on the horizontal axis. Students usually enjoy the game, lots of repetitive language is used and the teacher may feel satisfied that verbs are being drilled in and internalised for later more spontaneous use. But, as I've suggested in a previous blog, he leap from repeating isolated verb forms to unrehearsed sentences production is a pretty big one and we know many pupils don't make it. One way to improve the use of Battleships is to extend it from verb use to whole chunk or sentence use. 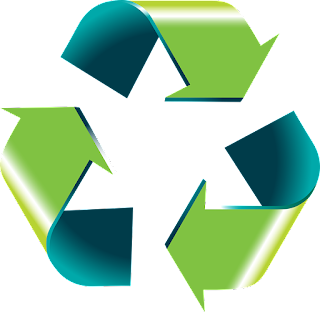 In this way students get to recycle, many times, whole chunks of language which can be later worked in to more spontaneous utterances. Without going in to the mechanics of working memory and long term memory, it's likely to be easier for students to retain the one item Je suis allé au cinéma (one whole chunk), than to combine two items in memory Je suis allé and au cinéma, or worse still a set of explicit rules about how aller works in the perfect tense along with rules for prepositions . So, with that preamble out of the way, here is a teaching sequence which might tempt you. 1. Model then play this game of battleships where the focus is on FUTURE TENSE, using two high frequency verbs jouer and aller. In the above example it's important you model the task first, especially since it requires some manipulation of possessives (avec mes parents, avec ses parents, avec nos parents etc). You could display a set of these possessive adjectives on the board to scaffold the task. a) Have students create five novel sentences without showing their partner, then pairs play a yes/no guessing game: Tu iras au café avec tes amis? Tu joueras au rugby à l'école? The first person to guess their partner's activities wins. b) Hide the grid then display five of your own, new sentences. Read aloud, do choral reading aloud, then use the "disappearing text" technique (gradually removing words and chunks until nothing is left). Students should be able to say all the sentences from memory. c) Back in pairs play the "first one who can't say something loses" game. Partners alternate in making up a sentence until someone cannot. This can last a while if the ground has been properly prepared beforehand. d) Dictate some sentences, offering a gapped version for weaker classes. e) Do instant translation into French or English of previously practised or newly invented sentences in the future tense. e) As a written task students can now write up an account of their next weekend's activities. Depending on the class, you can give some more freedom for students to explore other verbs, using verb tables if need be. If they do this in class they can then read aloud their account to a partner. f) In a subsequent lesson you can do an information gap task where each student has an incomplete diary of the following week's activities. Students have to ask either yes/no questions or a simple Qu'est-ce que tu feras? to fill in the gaps on their incomplete grid. g) In another subsequent lesson you can play running dictation or translation. So there you go. That's one way of structuring a set of activities to ensure lots of feasible TL use and recycling of high frequency language. Are there instructions for how to play method #1? Are students only producing the combined sentence in L2? Is there risk of students producing without comprehending? Thanks!